We probably have the litigious nature of society to blame for many things that are just plain stupid. You would not think that a warning label would be required on a lawn mower that warns users to keep their limbs clear of the cutting blades or one on a plastic bag advising users to avoid putting it over their heads, but that is the reality of the world we live in. All of us cross paths with warning signs that are pretty stupid, but the following should probably be eligible for some kind of award, like “Stupidest Warning Signs in The World” or something. 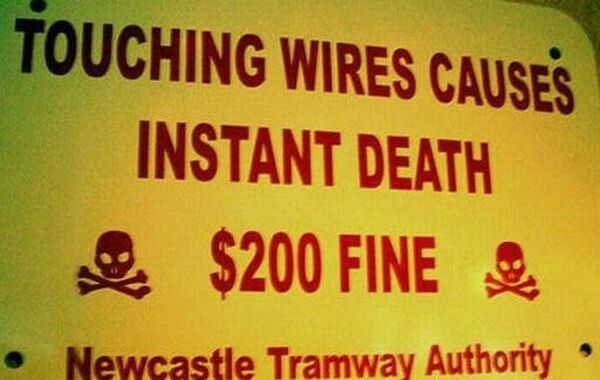 It’s not clear whether these people hope to collect their $200 fine from violators in the afterlife or what.